You'll be £4.99 closer to your next £10.00 credit when you purchase Stalin's Revenge. What's this? In the summer of 1944 the Red Army crushed Army Group Centre in one of the largest offensives in military history. Operation Bagration - launched almost exactly three years after the Nazi invasion of the Soviet Union - was Stalin's retribution for Hitler's Operation Barbarossa. 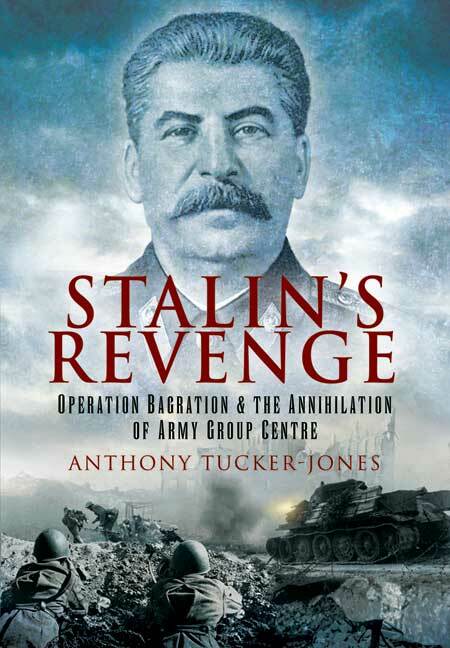 Earlier battles at Stalingrad and Kursk paved the way for Soviet victory, but as Anthony Tucker-Jones demonstrates in this fascinating study, Bagration ensured that the Germans would never regain the strategic initiative. In one fell swoop the Wehrmacht lost a quarter of its strength on the Eastern Front. And in a series of overwhelming assaults, the Red Army recaptured practically all the territory the Soviet Union had lost in 1941, advanced into East Prussia and reached the outskirts of Warsaw. As he reconstructs this massive and complex battle, Anthony Tucker-Jones assesses the opposing forces and their commanders and gives a vivid insight into the planning and decision-making at the highest level. He recreates the experience of the soldiers on the battlefield by using graphic contemporary accounts, and he sets the Bagration offensive in the wider context of the Soviet war effort. He also asks why Stalin's road to retribution proved to be such a long and bloody one - for the Germans, despite their crippling losses, managed to resist for another ten months. 'Should you have an interest in the Eastern Front, and already have a solid foundation of knowledge, then you will find Stalin's Revenge a valuable edition to your library. I have read several other books by the author and found them very strong, this book being no exception. So this is yet another outstanding book by Mr. Tucker-Jones which I highly recommend.